Today is the first day of the Palm Beach Boat Show and among the last few days that you can enter the Name the Boat contest for our friends that are rowing across the Atlantic Ocean (yes, I said rowing - quite impressive, eh?). 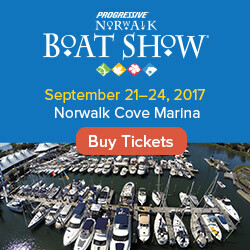 Follow this link to save two bucks off your ticket to the boat show (kids under 6 are free), and follow this link to help the rowers name their boat - there are over $600 in prizes! Not much skill involved... you simply have to suggest a boat name for an American team of four female rowers who need help naming their boat for their upcoming Trans-Atlantic rowing race. The $500.00 grand prize includes a broad assortment of treats, including a gift set from Dr. Perricone's luxury skin care line, your choice of personalized boating apparel from Boat Name Gear, books about parenting like pirates and trailblazing traders in New York City, a free computer check-up from NerdsToGo, a vinyl boat name lettering package, and an all-new set of Organic Shower Gel by Russell Organics. Additional prizes include iTunes gift cards as well as an hour of Social Media Consulting provided by Customized Marketing. 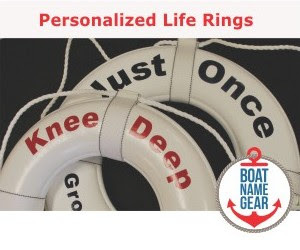 To learn more about the boat, the race, and to make your boat name suggestion and enter the Name the Boat Contest, visit the Boat Name Blog.